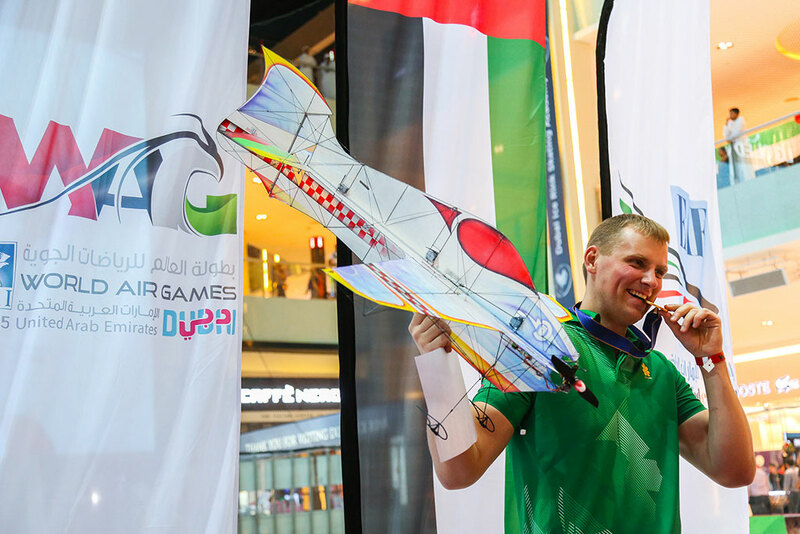 As per the rules of competition, each participant could drop two of their four scores over two days of competition. 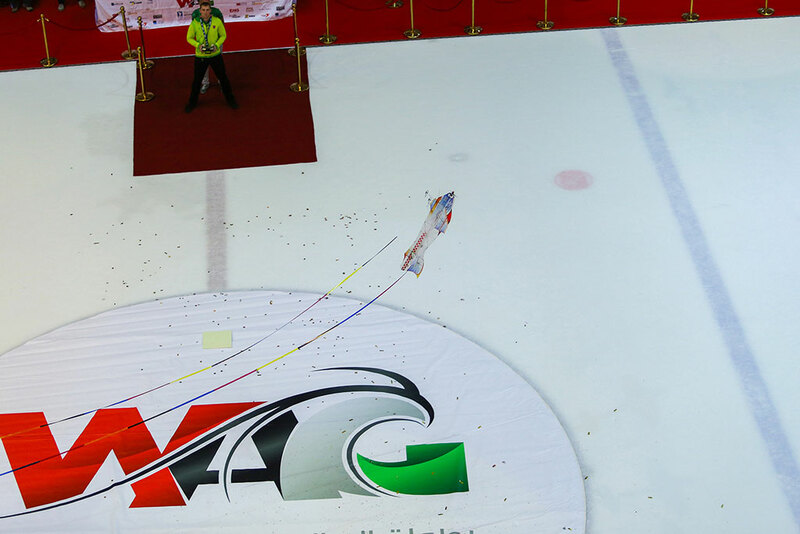 Pauluolis ended two days of competition with a perfect score of 2,000 points after he recorded 1,000 points in each of his four visits to the arena. 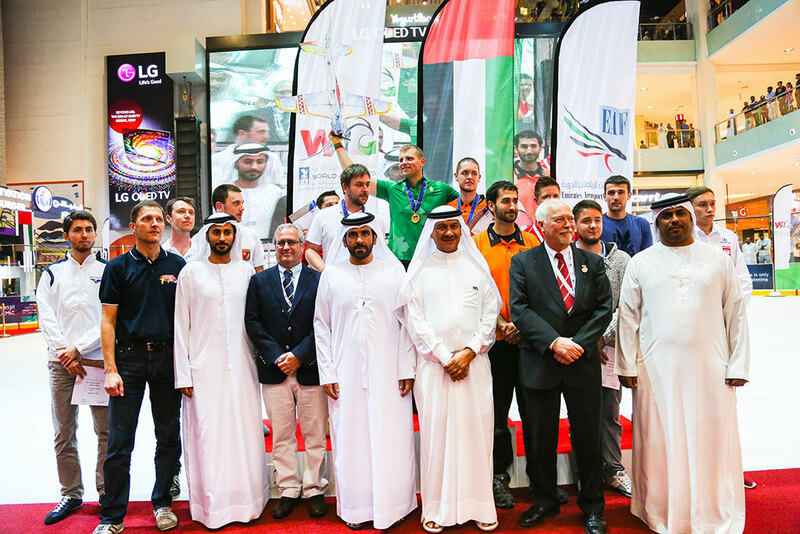 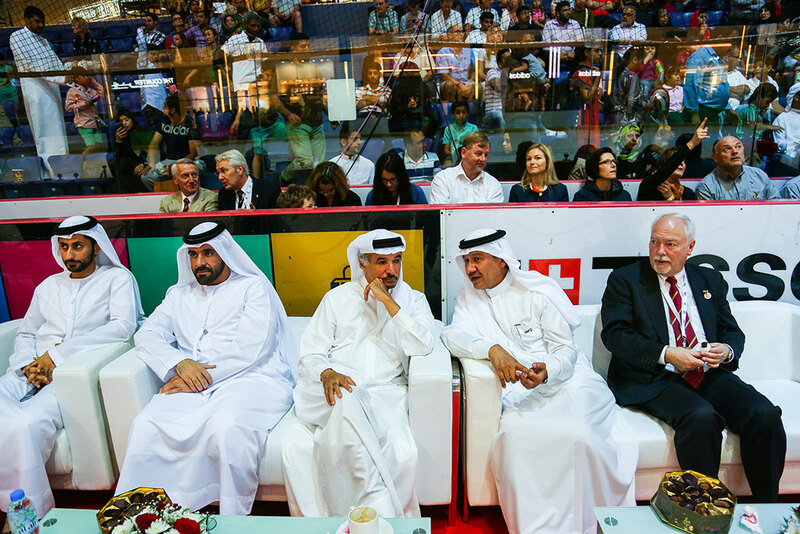 Yousuf Al Hammadi, Championship Director was joined by Dr John Grubbstrom, President of the World Air Sports Federation (FAI) at the presentation of medals after the competition. 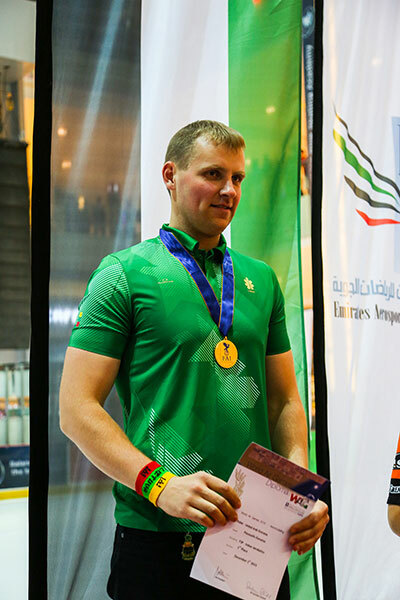 Dr John Grubbstrom said after the presentation ceremony. 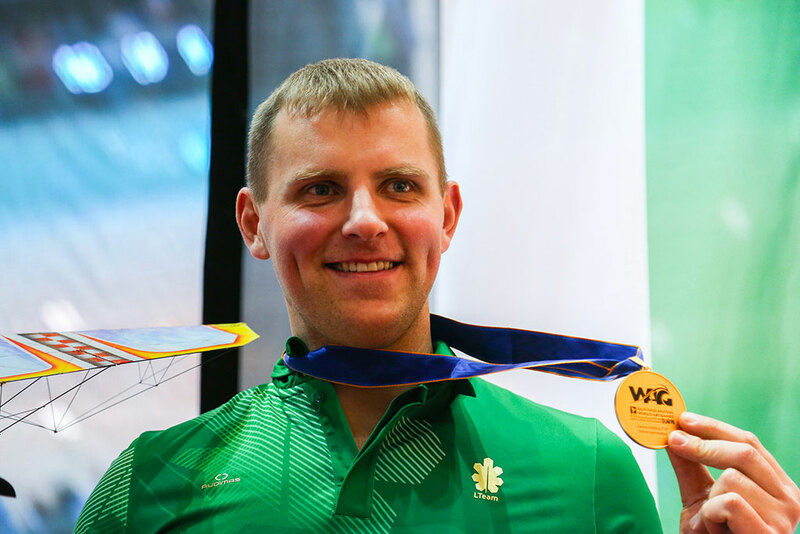 The Lithuanian was followed in the next two places by Alan Goljevscek of Slovenia and Devis McGrath from the United States of America. 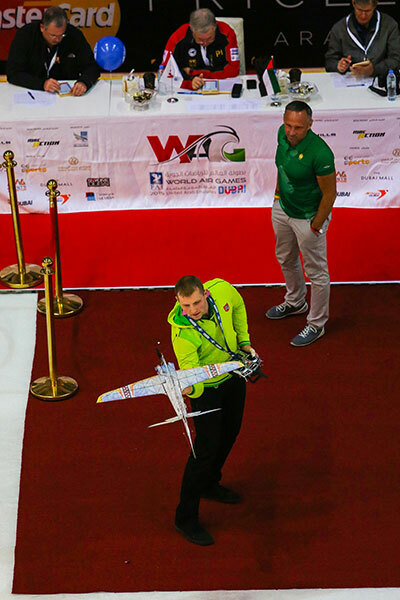 Alan Goljevscek had been in contention for the second spot with scores of 951.327 and 943.231 for a cumulative total of 1894.56 points at the end of the first day. 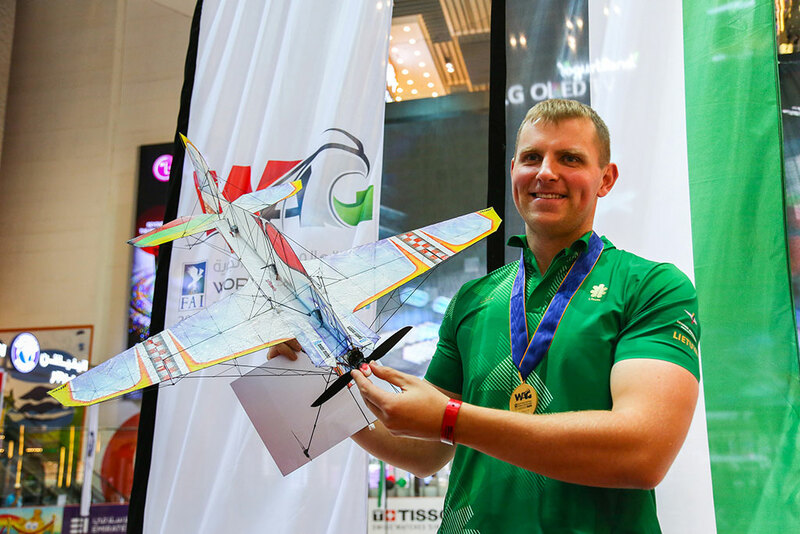 The Slovenian’s second day’s lower scores of 934.354 and 926.471 had to be discarded, but he still finished with the silver medal based on his first day’s total. 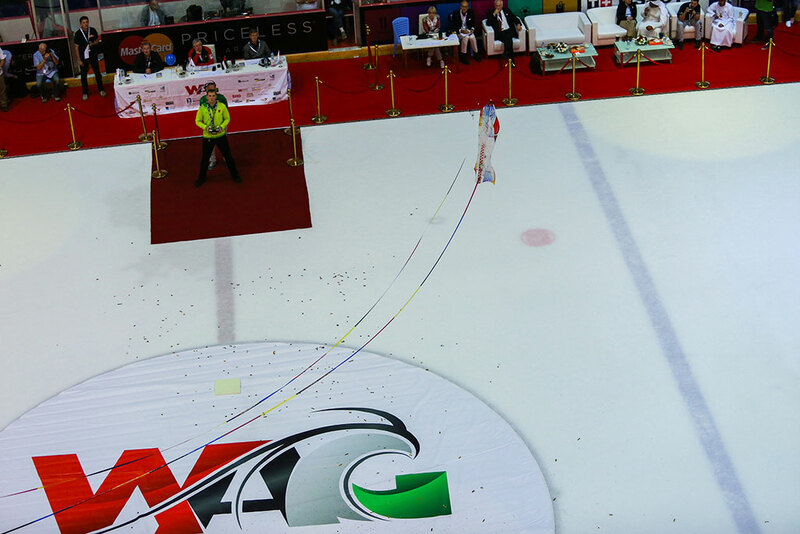 Devin McGrath from the USA followed in third with a total of 1,842.96 points following scores of 926.991 from day one and 915.966 from the second day. 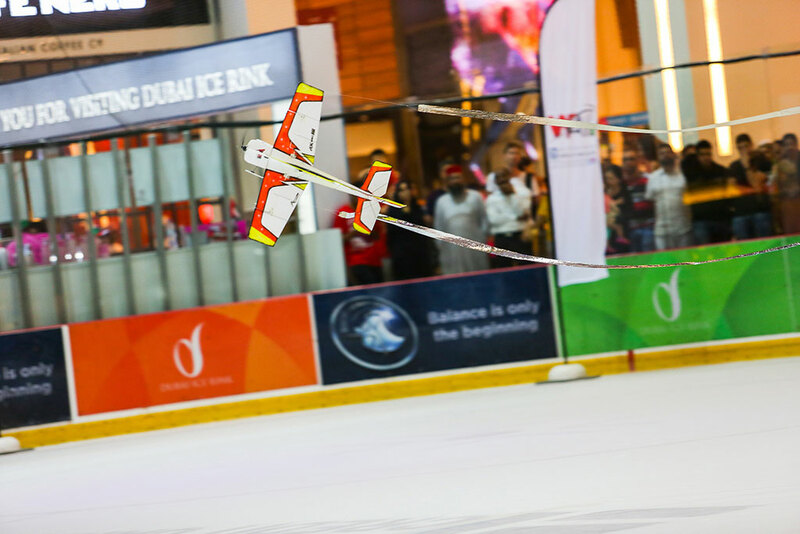 Participants were awarded scores based on nine criteria, including flying style precision, utilization of flight performance, variety of manoeuvres, artisitic quality, synchronization, reflection of the mood of music and overall impression created through utilization of manoeuring and continuity of schedule. 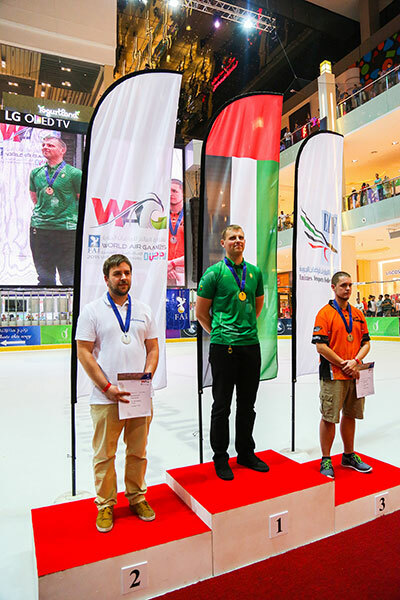 The judging panel consisted of three members, namely Peter Uhlig (Germany), Esa Eirola (Finland) and Harry Ells (Canada) grading individuals in various criteria laid down for the competitors. 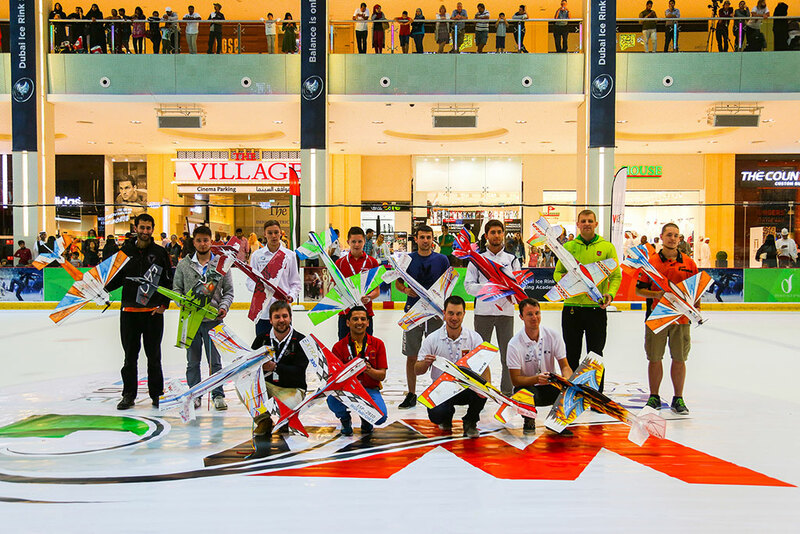 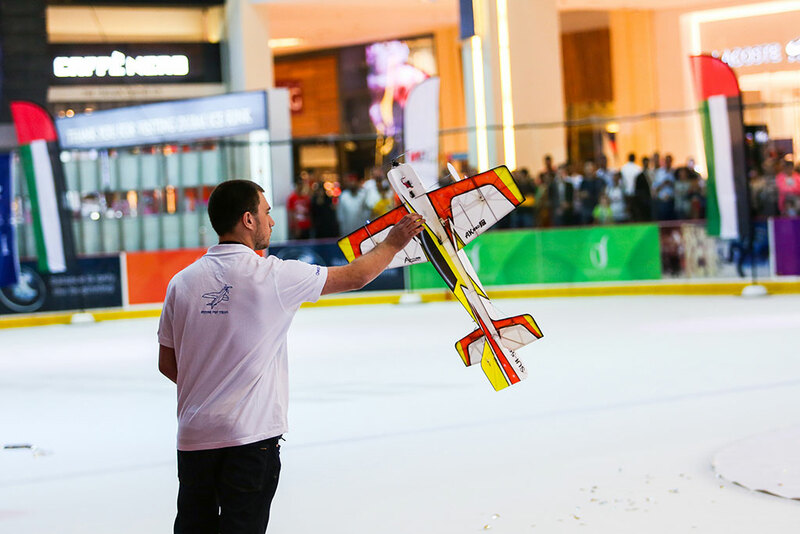 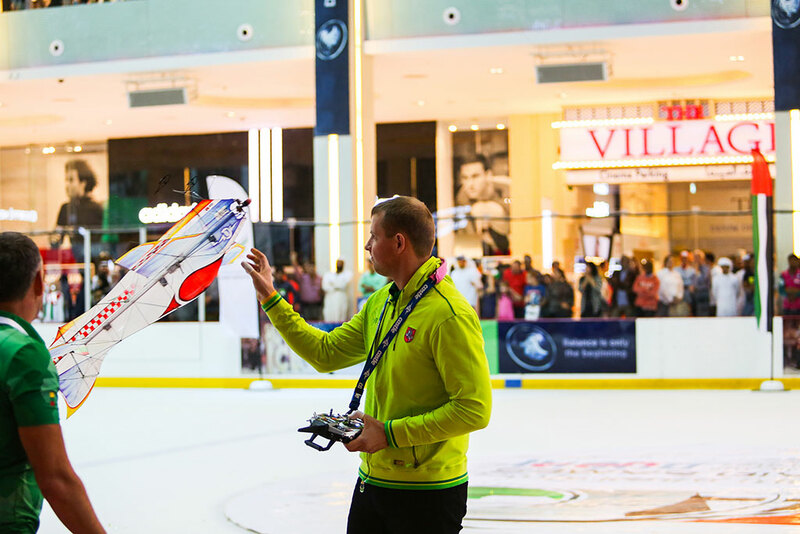 Held under the patronage of Sheikh Hamdan Bin Mohammed Bin Rashid Al Maktoum, Crown Prince of Dubai and Chairman of Dubai Sports Council, the fourth edition of the World Air Games will go on in 23 different disciplines at various dropzones and sites in Dubai till December 12.
he 2015 World Air Games Dubai is the fourth edition and has attracted more than 1,200 participants from 56 countries all across the world, making this the biggest-ever in the history of the competition. 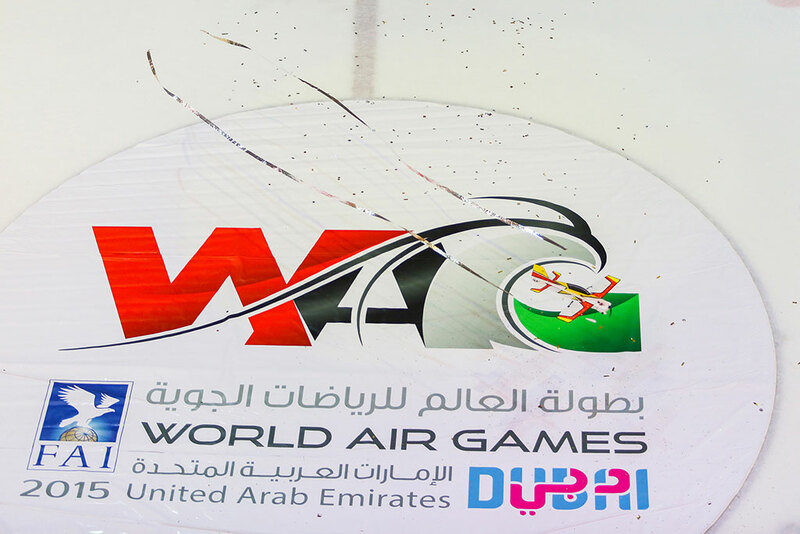 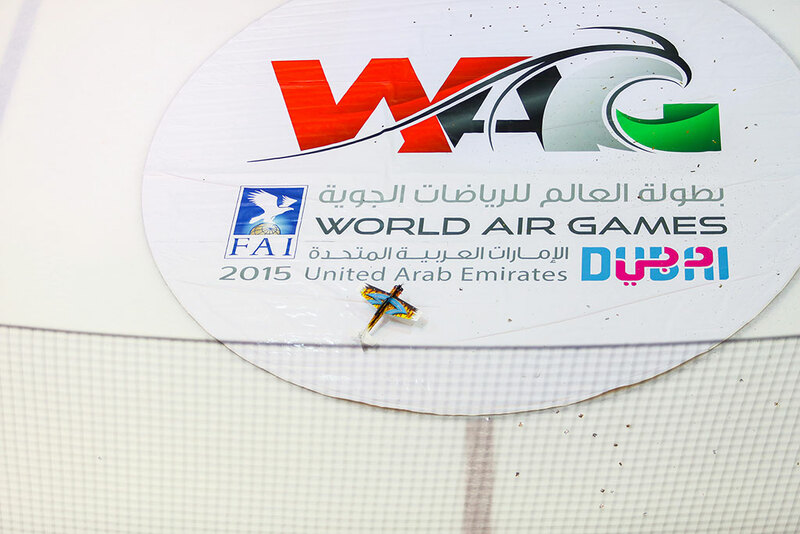 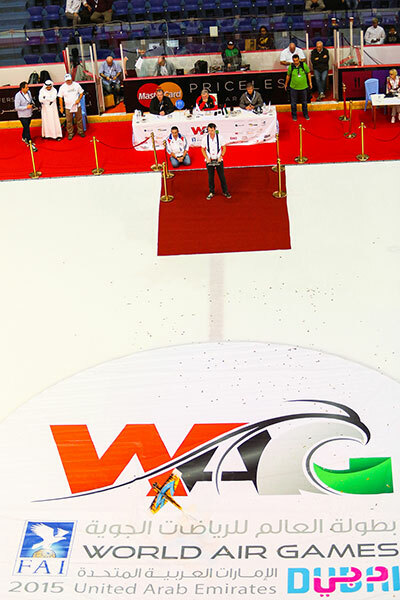 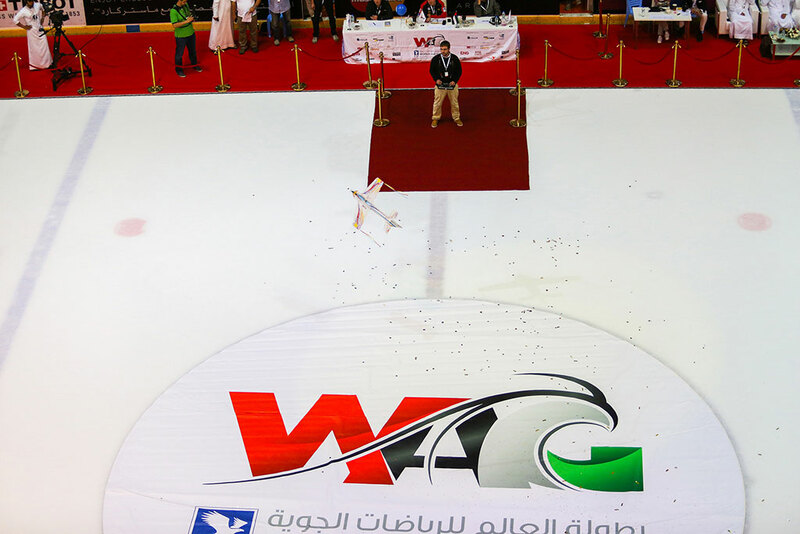 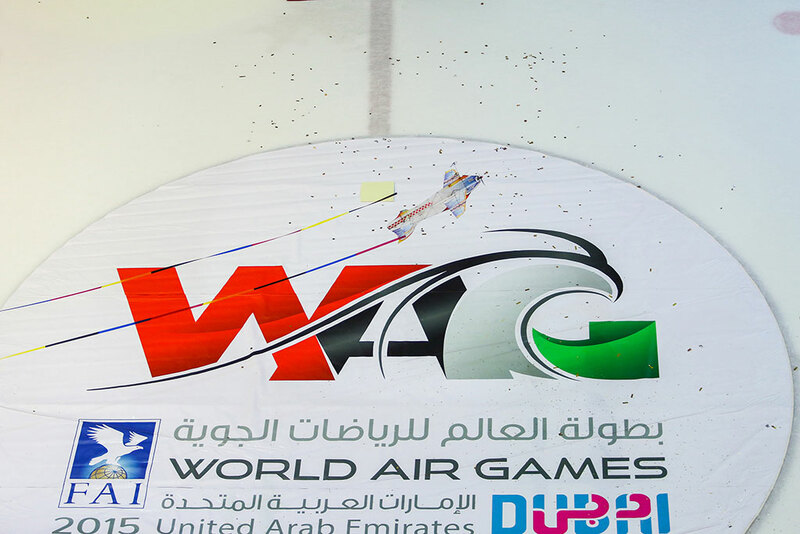 The official opening ceremony of the WAG 2015 will be held at Skydive Dubai on Thursday evening (December 3).